Your website may look great and have tons of valuable traffic, but if it doesn’t convert that traffic into customers – it’s not doing the job. 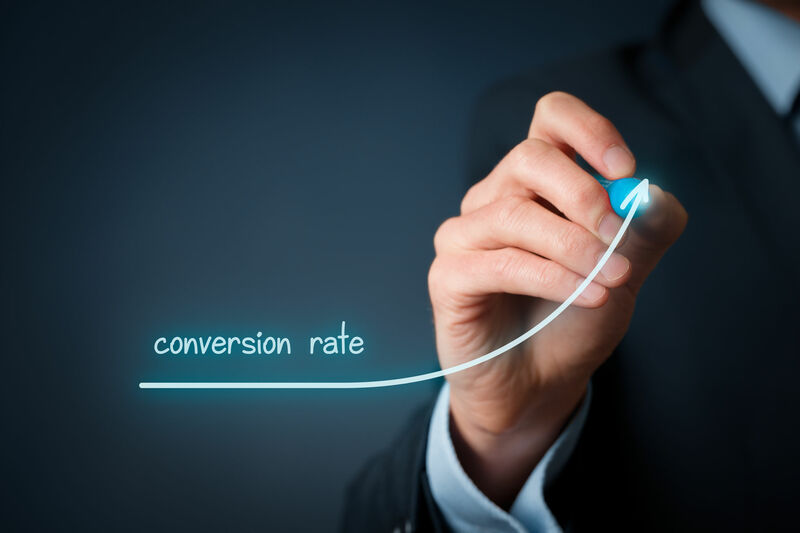 Conversion rates are on every marketer’s mind. Big name companies have special departments, focused on increasing conversions. But what are you to do, a lone business owner doing your own marketing, if you see your website doesn’t convert well enough? No worries: the conversion techniques ‘big marketers’ use are not that complicated, and you can easily use them to make your website work better. So, here are tips for each major component of your web page. Keep your website’s headline short and sweet. If it doesn’t fit into one line – it’s not your headline. Make it communicate the essence of your business. If you were to tell someone what your business does in 3 seconds, what would you say? Make it irresistible. If you were to persuade a person to buy your product in 3 seconds, what would you say? Keep it clean. Don’t try to fit everything into your home page or landing page: the page should have enough space, so that the important information stands out. Keep it user-friendly. It should be easy for the visitor to find the info they need to make a decision, especially on mobile devices (see our latest post to learn why mobile-friendly websites are a must now). Arrange information the right way. Most often, people pay more attention to the top and right parts of the page (our eyes go in an ‘F’). So, this is where you should place the most important information. Make it scannable. Very few people actually read the page: most often they scan it, so your content should be easy to scan – with subheadings, bullet points, visual elements. Again, arrange information the right way. Headlines, subheadings, beginnings of paragraphs is what people actually read as they scan your page, so make sure the most persuasive stuff is there. Make it customer-oriented. All too many business owners make the same mistake: in their website content, they focus on their business, their product and service instead of focusing on the customer, their problems and needs. Make them clear and value-oriented. Your call-to-action should communicate exactly what the visitor should do and/or exactly what they get when they click. ‘Sign Up to Get Marketing Tips’ works much better than the generic ‘Submit’. Make them visible and clickable. If your CTA doesn’t stand out, merges with the background, and doesn’t look like something the visitor can click on – they won’t click on it. Make them easily accessible. If the visitor needs to scroll for like 10 seconds to find an order button, they won’t scroll. Make that button easy to find, because otherwise the visitor may lose patience and stop looking for it. So, it does sound fairly easy, right? These are tips you can easily use to make your website more effective. Just don’t forget to test every change you make, like different CTAs or different headlines. That’s the only way to know what works best for your specific audience. Now, have you tried any other conversion optimization techniques? How did it go? Feel free to reply in the comments.